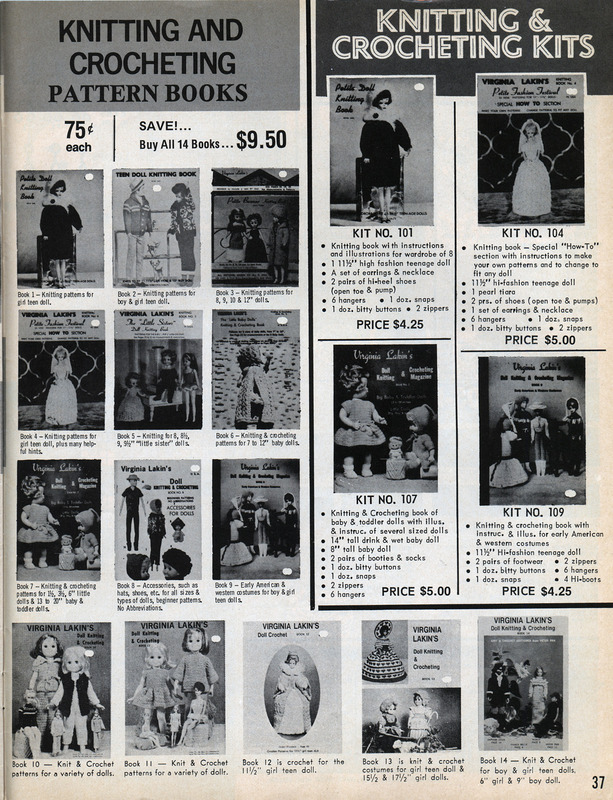 Found inside this 1977 Standard Doll Co. catalog , along with this page of Kate Greenaway postcards, miniature patterns, dollhouse items, etc.. 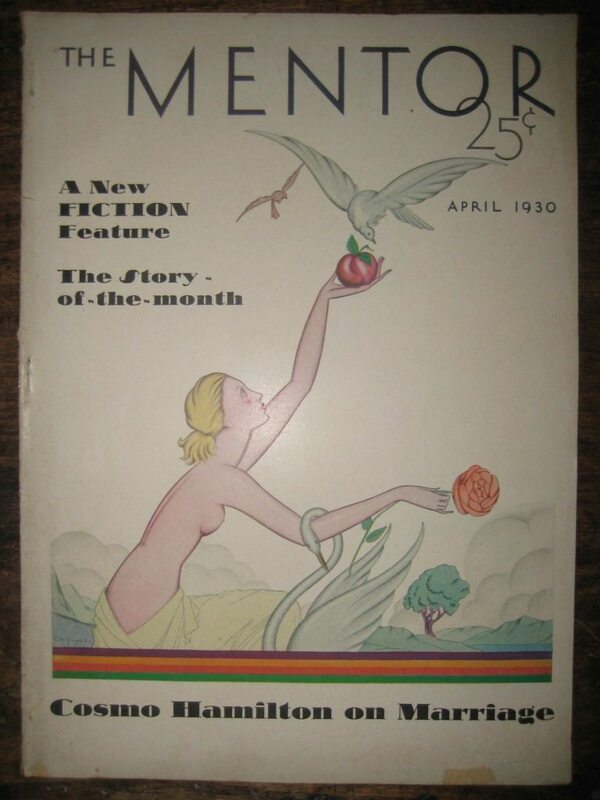 The Mentor magazine is an obscure vintage magazine for several reasons: The creator’s intentions, its various incarnations, and rather shoddy historical record (it is not listed in the National Union Catalogue of Periodicals). The publication begins with William David Moffat. Moffat attended Princeton; while in school he has several works published, mostly sports stories for boys under the name William D. Moffat. Upon his graduation in 1884, he went to work for Scribner’s where he’d stay for two decades, working his way up from sales, to the education department and finally the business manager for The Book Buyer and Scribner’s Magazine. In 1905 he leaves Scribner to form his own publishing house, Moffat, Yard & Company, with fellow Princeton alum Robert S. Yard. 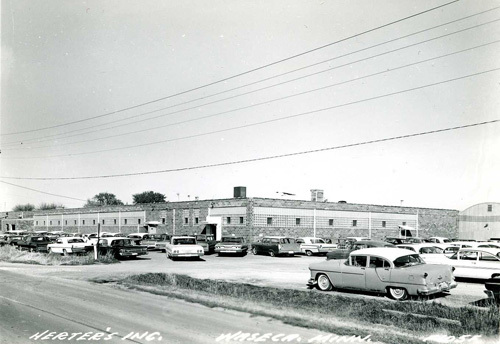 By June of 1912, Yard was no longer active in the company, and Moffat, Yard & Co. announced it was moving in to share the offices of another publishing house, John Lane Company. While this was said not to be a true merger, but rather a shared management and expenses sort of a thing, it is at this time that Moffat begins The Mentor Association. The purpose of The Mentor Association is to give people, in an interesting and attractive way, the information in various fields of knowledge that they all want and ought to have. The information is imparted by interesting reading matter, prepared under the direction of leading authors, and by beautiful pictures, produced by the most highly perfected modern processes. 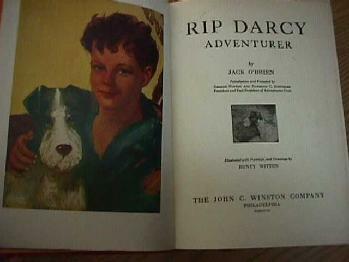 The object of The Mentor Association is to enable people to acquire useful knowledge without effort, so that they may come easily and agreeably to know the world s great men and women, the great achievements, and the permanently interesting things in art, literature, science, history, nature and travel. …We want The Mentor to be regarded as a companion. 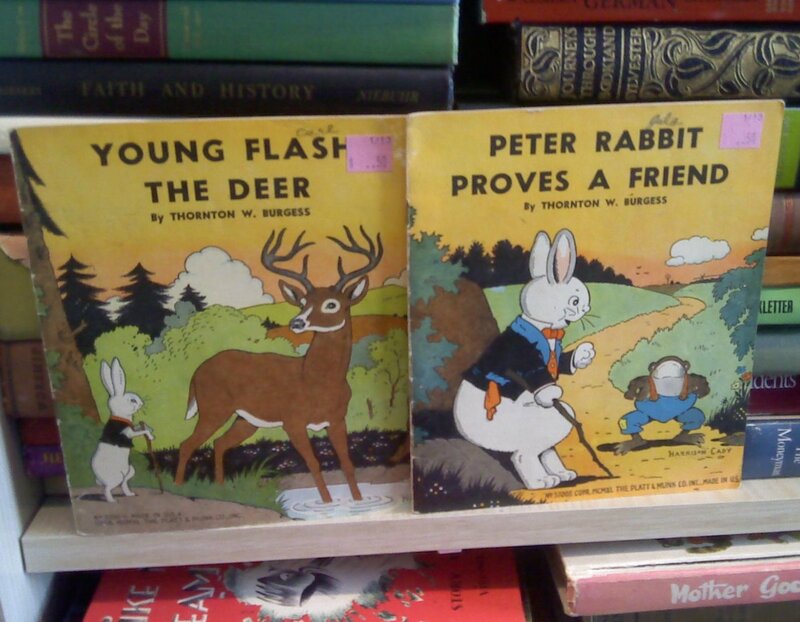 It has often been said that books are friends. We give you in The Mentor the good things out of many books, and in a form that is easy to read and that taxes you little for time. A library is a valuable thing to have if you know how to use it. But there are not many people who know how to use a library. 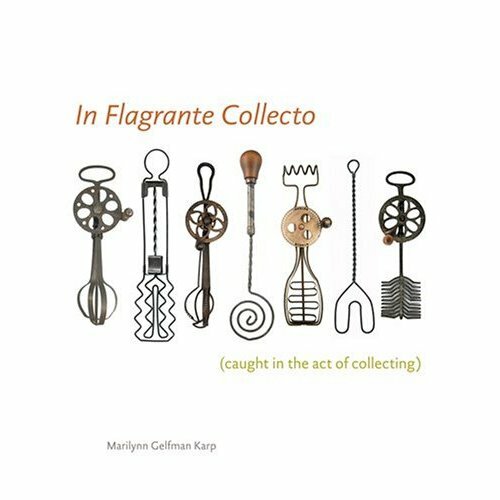 If you are one of those who don t know, it would certainly be worth your while to have a friend who could take from a large library just what you want to know and give it to you in a pleasant way. The Mentor can be such a friend to you. And since the word “library” has been used, let us follow that just a bit further. 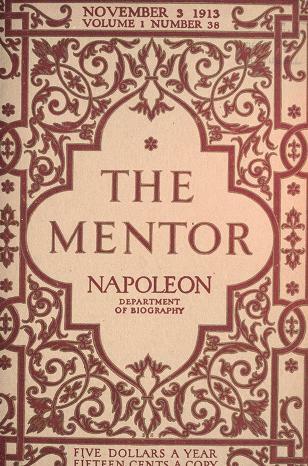 The Mentor may well become yourself in library form. Does that statement seem odd? 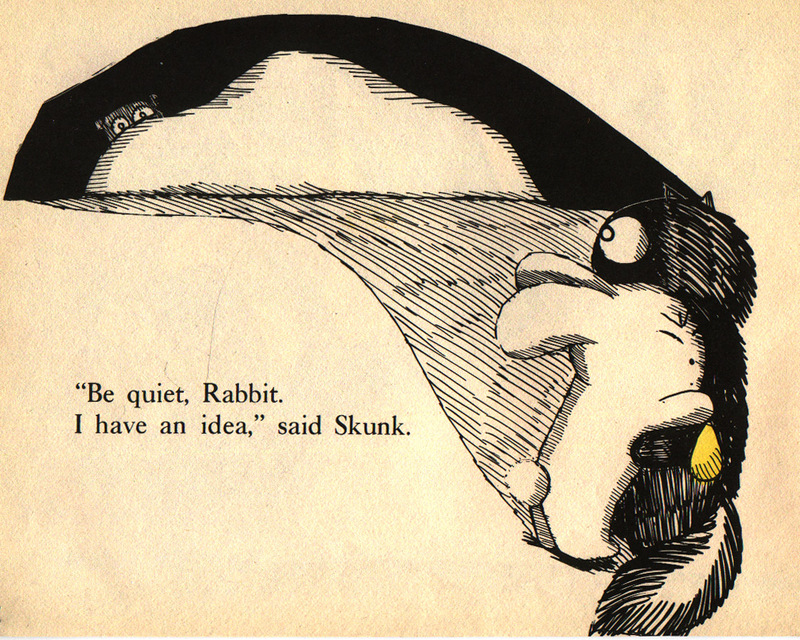 Then let us put it this way: The Mentor is a cumulative library for you, each day, each week a library that grows and develops as you grow and develop a library that has in it just the things that you want to know and ought to know and nothing else. Day by day and week by week you add with each number of The Mentor something to your mental growth. You add it as you add to your stature by healthy development; and the knowledge that you acquire in this natural, agreeable way becomes a permanent possession. You gather weekly what you want to know, and you have it in an attractive, convenient form. It be comes thus, in every sense, your library, containing the varied things that you know. And you have its information and its beautiful pictures always ready to hand to refer to and to refresh your mind. So in time your assembled numbers of The Mentor will represent in printed and pictorial form the fullness of your own knowledge. 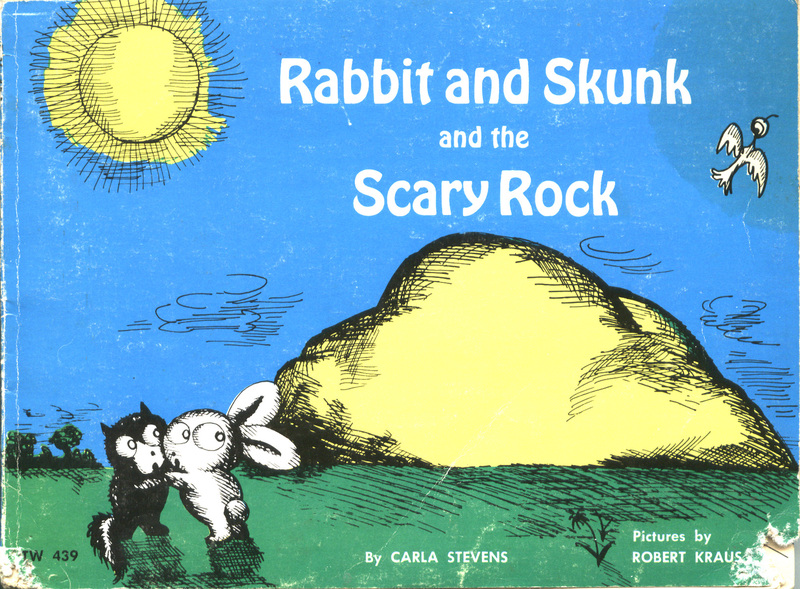 We have chosen this cover after a number of experiments. It has not been an easy matter to settle. The Mentor, as we have stated more than once, is not simply a magazine. It does not call for the usual magazine cover treatment. 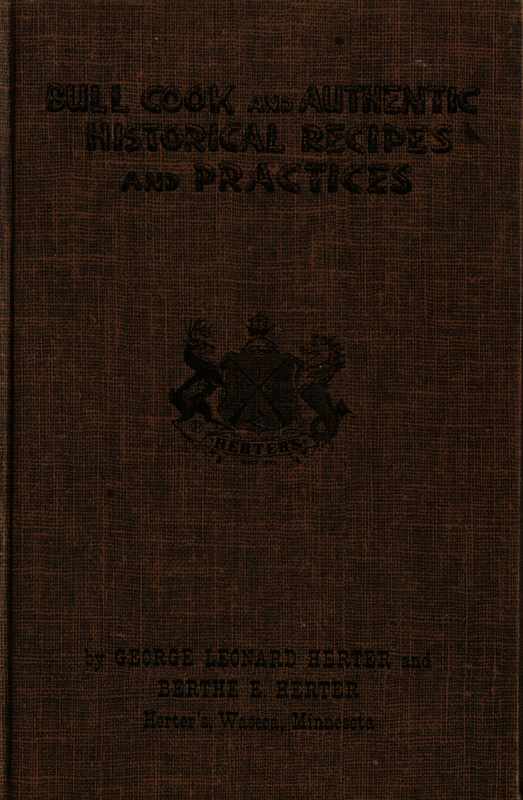 What we have always wanted and have always sought for from the beginning has been a cover that would express, in the features of its design, the quality of the publication. In the endeavor to make clear by dignified design the educational value and importance of The Mentor, the tendency would be to lead on to academic severity and that we desire least of all. 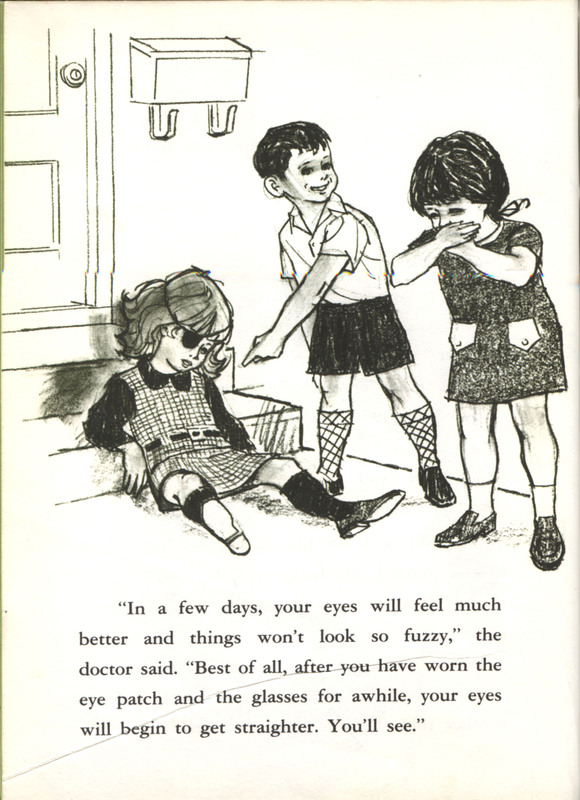 On the other hand, it would be manifestly inappropriate to wear a coat of many colors. The position of The Mentor in the field of publication is peculiar its interest unique. How best could its character be expressed in decorative design? to The Mentor usually leads on to continued acquaintance. 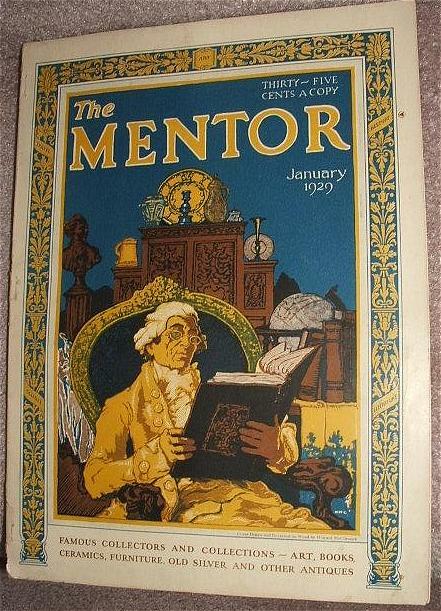 Originally The Mentor was a weekly, published by the Associated Newspaper School, Inc. (New York City) and hardly more than a pamphlet or folio; a dozen or so pages with “exquisite intaglio gravures” loose inside. (The fact that these images were not bound in the publication means issues are often found incomplete.) 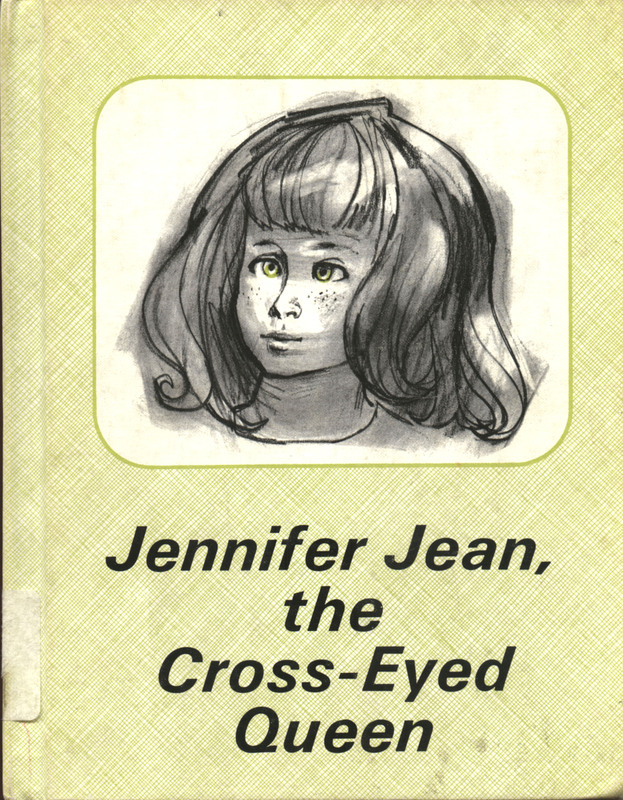 Each slim issue was on a specific theme and there were tie-ins with newspapers, adding to The Mentor‘s educational publication feel. From a practical standpoint, the narrow focus of each theme likely complicated or limited the periodical’s circulation numbers. It’s one thing to say your publication is “an institution of learning established for the development of a popular interest in art, literature, science, history, nature, and travel,” but with such issue-specific themes, readers may have done what collectors who spot copies do today: Pending the theme, either fell in love or turned up their noses and eschewed the entire publication. Perhaps this is why in its second year, The Mentor ceases weekly publication and lowers costs by being published only twice a month. (Subscription fees change from $5 to $3 a year.) It still retains the single theme per issue, but perhaps the frequency of publication change is also seen as a better way to market itself. It is also at this time that the publisher is changed from Associated Newspaper School to The Mentor Association. By mid-1919 wartime inflation would forced the price of subscriptions to The Mentor to increase to $4 per year — but bigger changes were coming. It was during this time that The Mentor becomes a monthly and introduces more color on the covers. 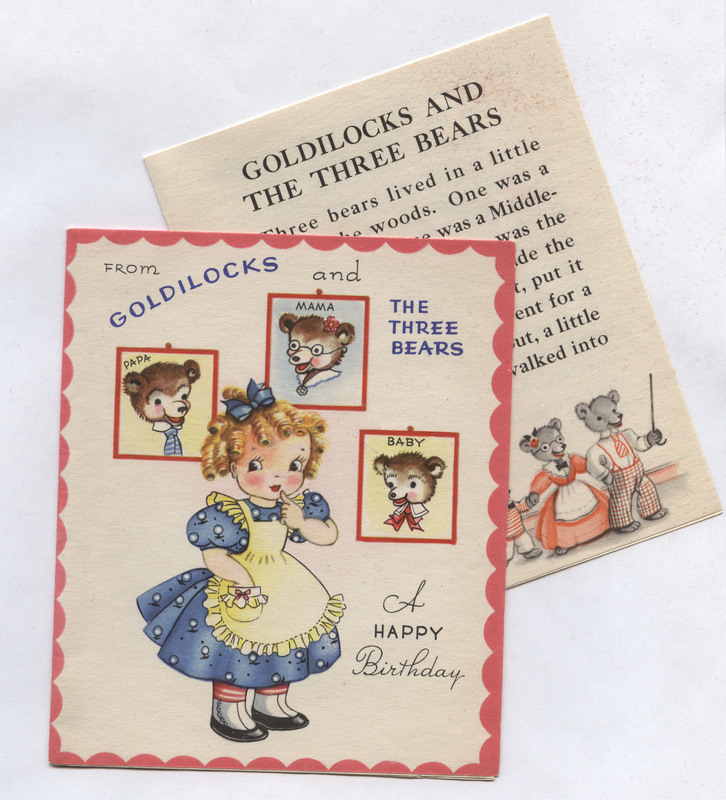 In the October 1920 issue, the magazine increased the number of pages to 40 and, finally, the six gravure pictures were bound into the center of the magazine, becoming numbered pages in each issue. It is also at this time that The Mentor softens its strict each-issue-devoted-to-a-theme stance, allowing the last five pages of each issue to free of the main topic. 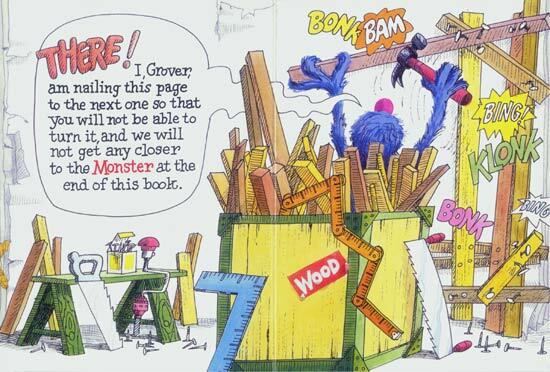 Editor Moffat never aimed at mass-circulation. 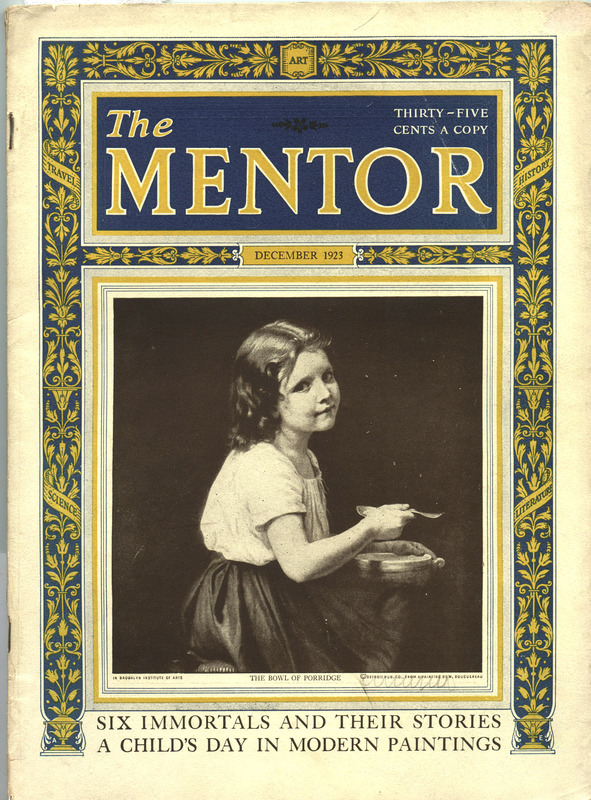 Even when mass-circularizing Crowell Publishing Co. (American Magazine, Colliers, Woman’s Home Companion) bought The Mentor in 1920, it did not commercialize original Mentor ideals, but retained Editor Moffat, continued to please the 50,000, the 70,000, finally the 100,000 who liked The Mentor for what it was. Starting with the next (September) issue, The Mentor will no longer have a theme-subject. Instead there will be articles on many a different topic, by such authors as Walter Davenport, W. E. Woodward, Margaret Widdemer, Will Durant. There will be seven four-color pages in place of rotogravure; a cover in the “modern manner”; a history of tennis by William Tatem Tilden, 2nd; a history of dog fashions by Albert Payson Terhune. 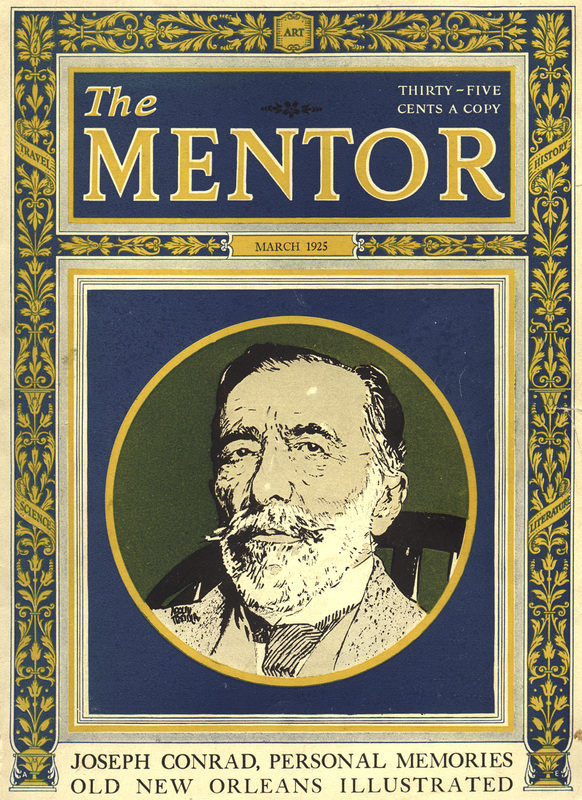 Now The Mentor is printed in the style of that period’s Vanity Fair; from the slick paper and illustrative appearance to the “modern” and “amusing” content, including fiction. 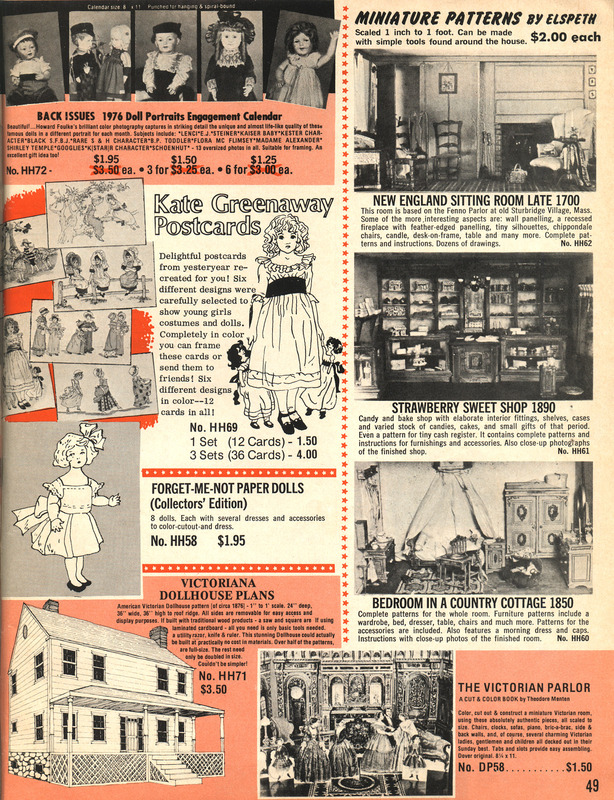 …Although the magazine’s circulation reached 85,000, it became apparent that it would never pull in harness with its whopping big Crowell team-mates—Woman’s Home Companion, Collier’s, The Country Home (onetime Farm & Fireside), The American Magazine — whose combined circulation is over 8,500,000. 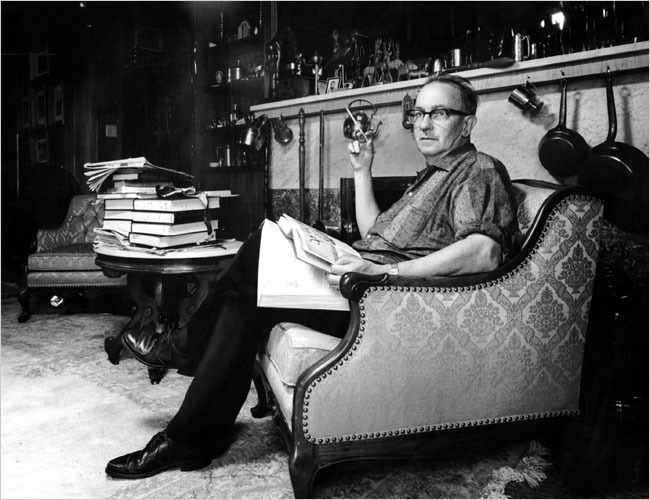 To World Traveler, the Mentor went lock, stock & barrel—with the exception of Editor Leamy. 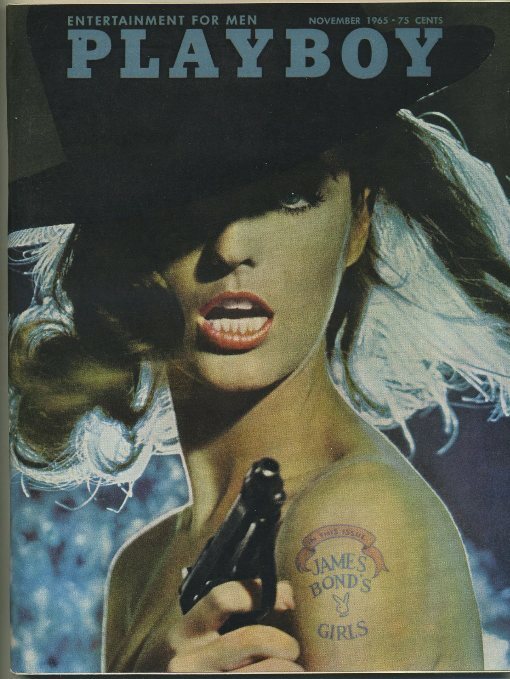 …Publisher Martin contemplates fusing his old magazine with his new, placing the amalgam under the direction of World Traveler’s Editor Charles P. Norcross, now junketing in the Orient. Because World Traveler has about one-fourth of its stablemate’s distribution, and because when two magazines combine one inevitably swallows the other, publishers guessed that the ever-mutating Mentor would be the one to endure. 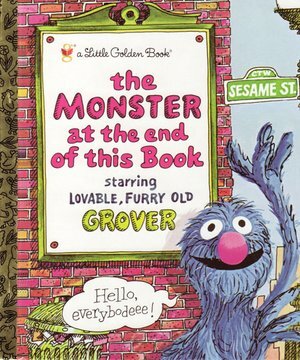 † Not to be confused with George Martin, one-time (1918—29) editor of Crowell’s Farm & Fireside. As an indication that the end was not far off, the Reader’s Guide to Periodical Literature stopped indexing the magazine in December 1930. 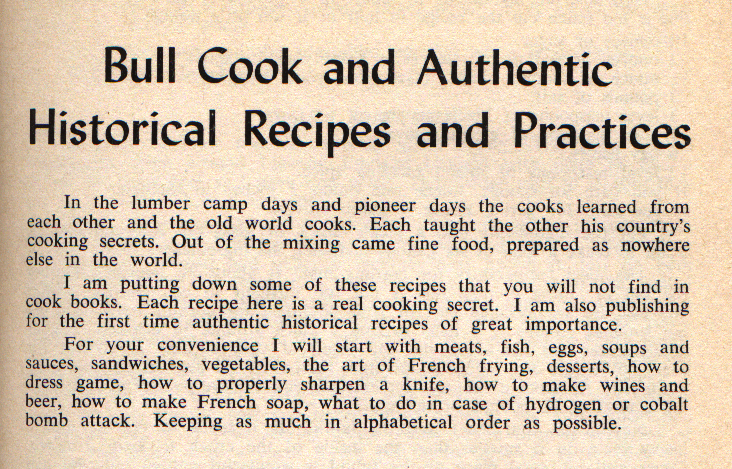 My last issue is January 1931; I have reason to believe it was the last published. If you have anything to add to The Mentor story, please let us know! 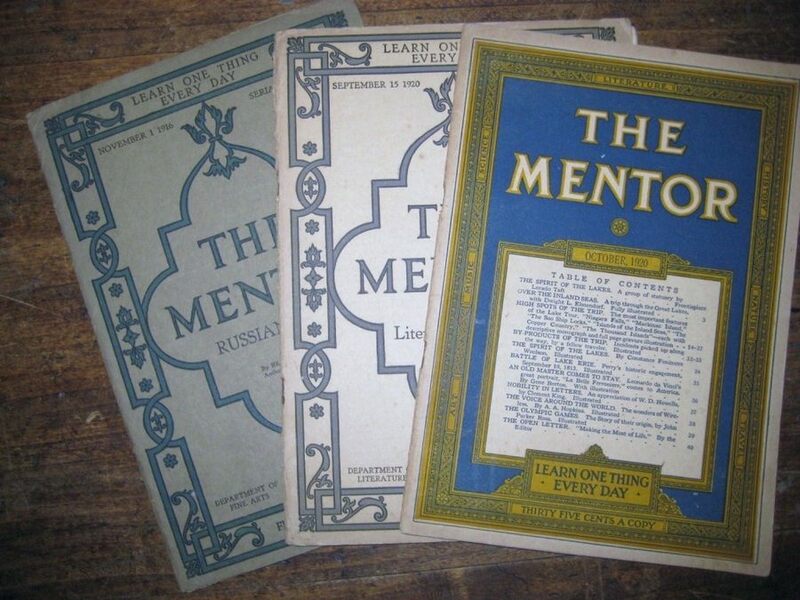 First issue of The Mentor magazine (Volume 1, Number 1, February 17, 1913) with six gravures via 2010lilbolharsky. 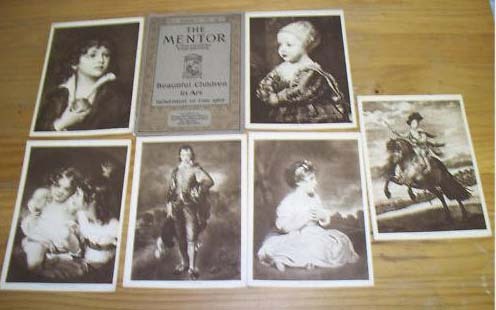 Photo of set of three vintage Mentor issues and April 1930 cover via mom-and-me-1971 . ‘Tis the season for fabulous holiday meals featuring turkey, and this antique illustration shows the longevity of breaking the wishbone. 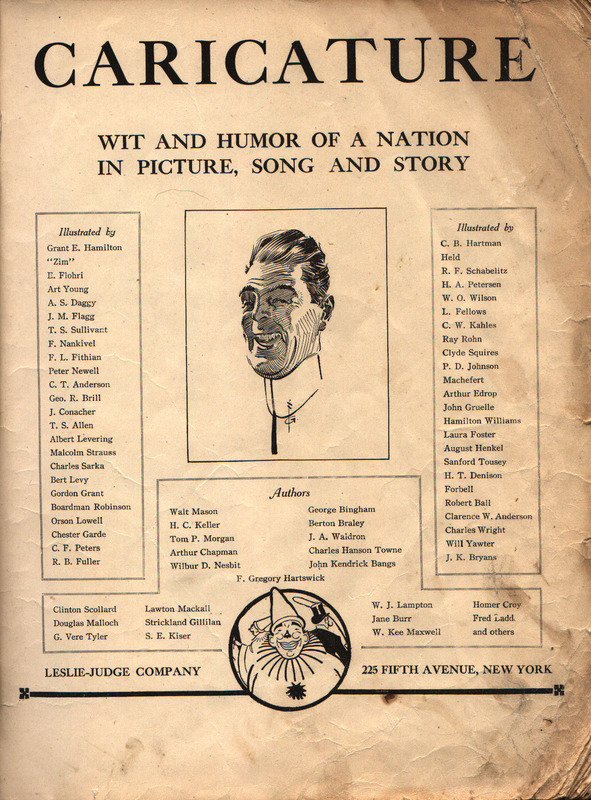 This illustration, captioned “If Their Wishes Came True,” was scanned from my copy of Caricature: The Wit & Humor of a Nation in Picture, Song & Story (Illustrated by America’s Greatest Artists). 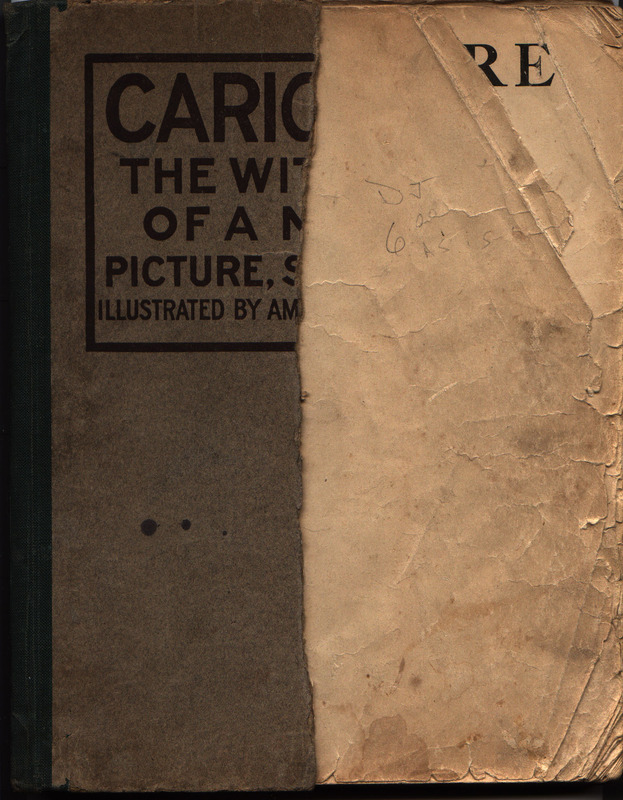 I’ve only a partial cover of my copy of Caricature; but at a mere $6, I’m not disheartened, for it’s full of fabulous art, quips, and stories. It’s like a time capsule, really. And it’s not just me being sentimental. Near as I can tell (for there’s no copyright or publication date), this antique book contains “the best of” Leslie-Judge Company publications, such as Leslie’s Weekly and Judge Magazine. 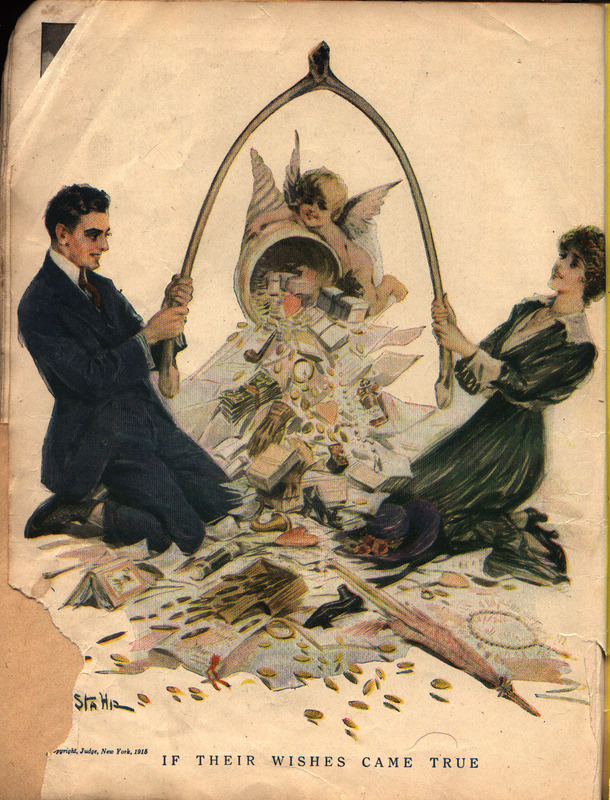 This specific illustration showing a couple breaking the wishbone is credited; copyright, Judge, New York, 1915. However as the corner is torn, I cannot make out the artist’s name. 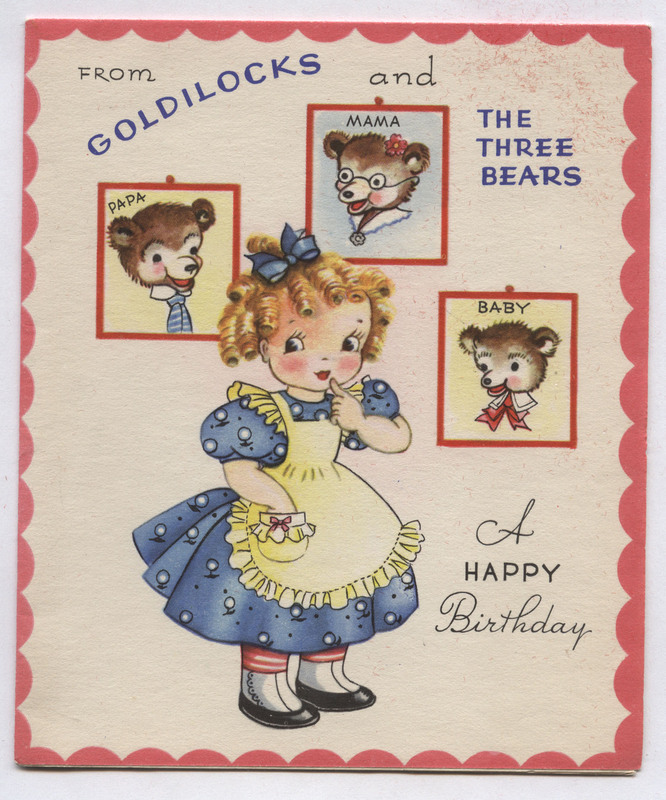 I’m hoping a more experienced illustration collector can tell us more about who the artist was or may have been… Please post a comment if you’ve any information! I know folks like to think I rationalize my compulsion for vintage booklets and magazines, but I think there’s gold in them-there old pages! Today’s example comes from 367 Prize Winning Household Hints From The Armour Radio Show Hint Hunt, circa 1940s, a booklet from the daily CBS radio show. 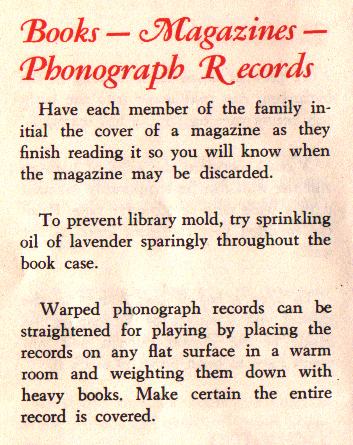 Included in this vintage booklet are some tips on books, magazines and phonograph records which might just be of use to the collector. 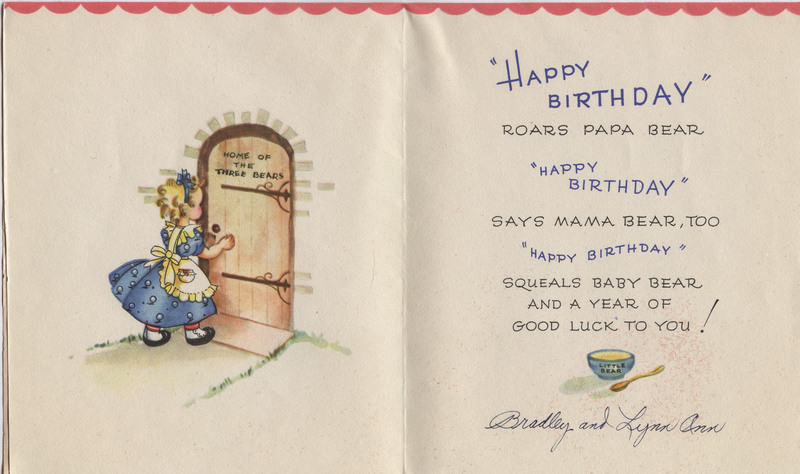 This, my fellow ephemera collectors, might explain the seemingly random multiple initials on vintage magazine covers. 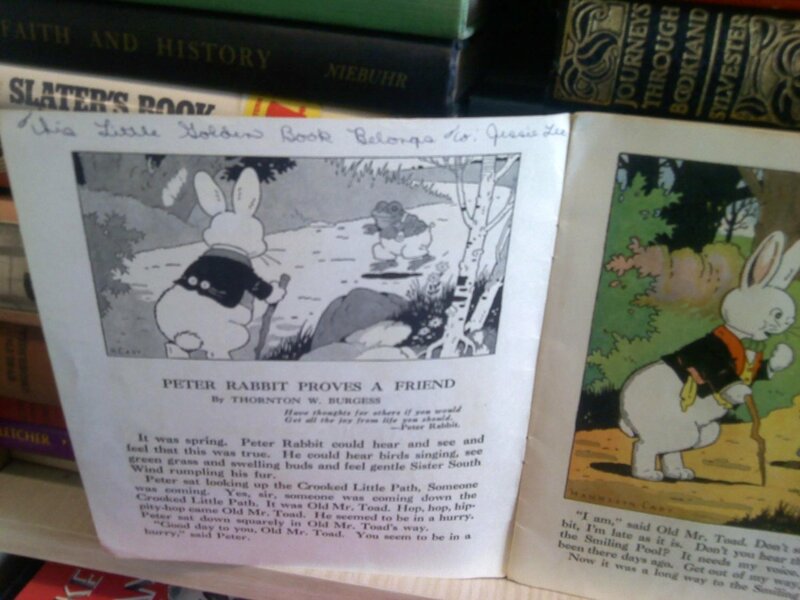 Now for you book collectors; the tip for preventing “library mold” is to sprinkle oil of lavender, sparingly, throughout the book case. While I doubt the scent would last very long, if persons practiced such things, it might account for oil spots on vintage book covers and pages. I currently have a couple of the more important issues of The Sporting News in my possession, but decided to try and generate a little excitement with them on eBay so they’re only going to be mine now through Sunday. Since they’re soon headed out the door I thought it’d be a good time to take a little better look at them and soak up some of that classic content. While The Sporting News has evolved with the times to cover all sports, these two issues are from the period when it still proclaimed itself “The Baseball Paper of the World” just under its masthead. 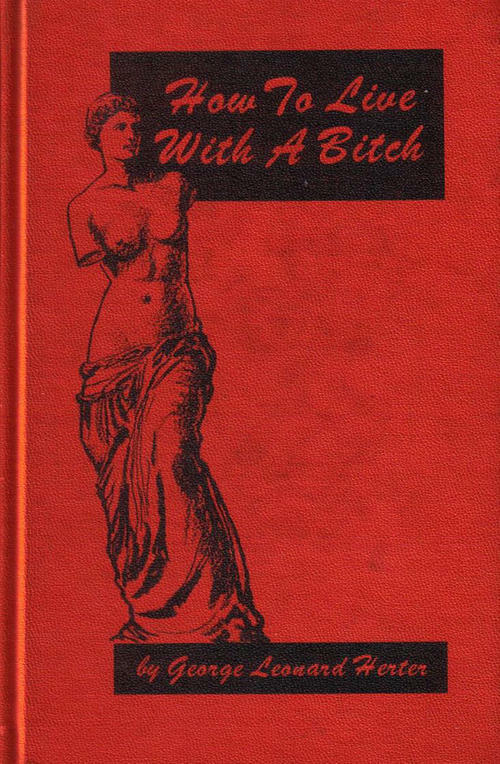 Volume 1, Number 1 was published in 1886 and over the years the format evolved from text-only to include photos and eventually several cartoons in each issue by renowned sports artists such as Lou Darvas and Willard Mullin. 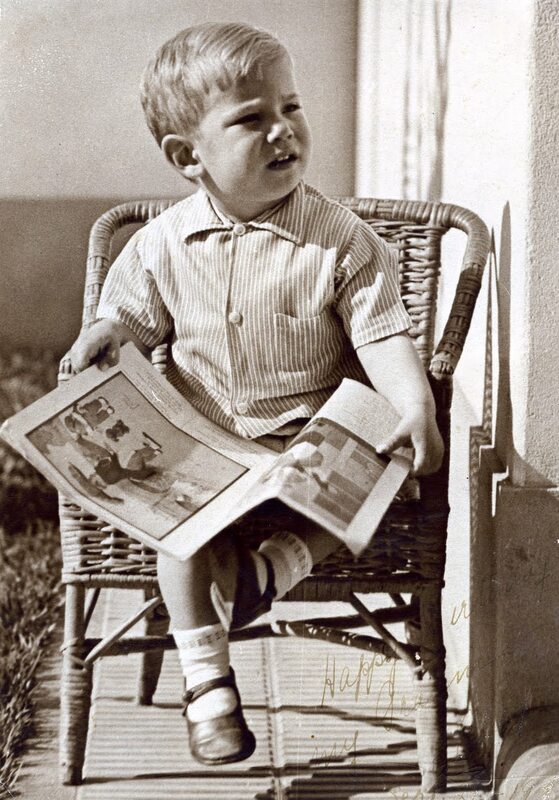 I’ve had a hard time laying hands on any issues before the mid-1920’s, but actually those issues through the late 30’s are a tougher sell as the sports paper was very different in both and size and format, despite at heart being the same baseball paper of the world. 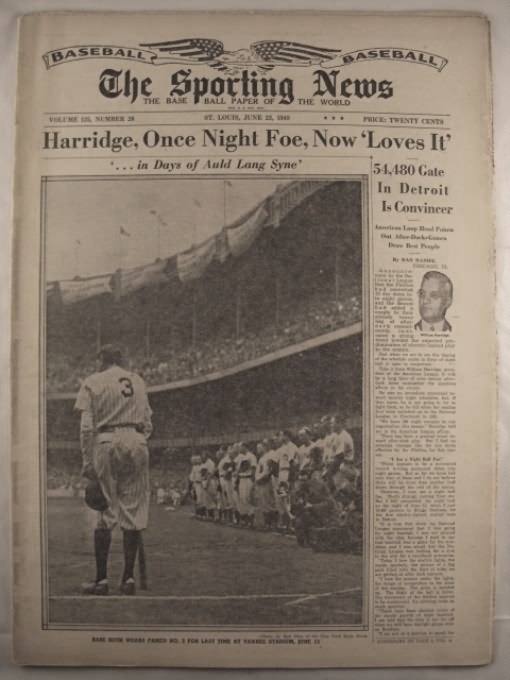 For more information here’s a History of The Sporting News that I wrote some time back for one of my sites, Collecting Old Magazines. Vintage issues of the 1940’s and 50’s have become some of my favorite items to handle as I find them ridiculously undervalued by comparison to most sports memorabilia. Maybe there’s just too much–each issue is packed and you’d be hard-pressed to come across an issue where multiple future Hall of Famers aren’t covered. 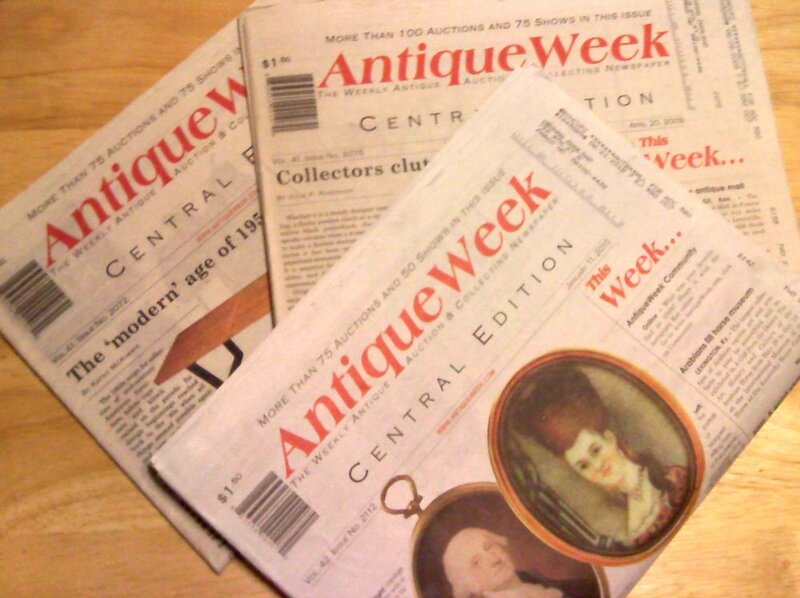 Issues from this period measure approximately 12″ X 16.5″ with all the condition sensitivity of a 60-70 year old newspaper. The latest round of Sporting News papers I’d acquired were in spectacular condition with the overriding detraction being age toning–not surprising, but in the case of this group nowhere near as heinous as I’ve seen from some other copies which have passed through over the years. These beauties just have a little tone to their color, I’ve seen them where you can’t page through without bits of the edges flaking off. Note to potential buyers looking at this post while it’s still fresh: Each of the issues that I’m going to specifically talk about below do have a major flaw–there’s a single page in each with cut-outs. 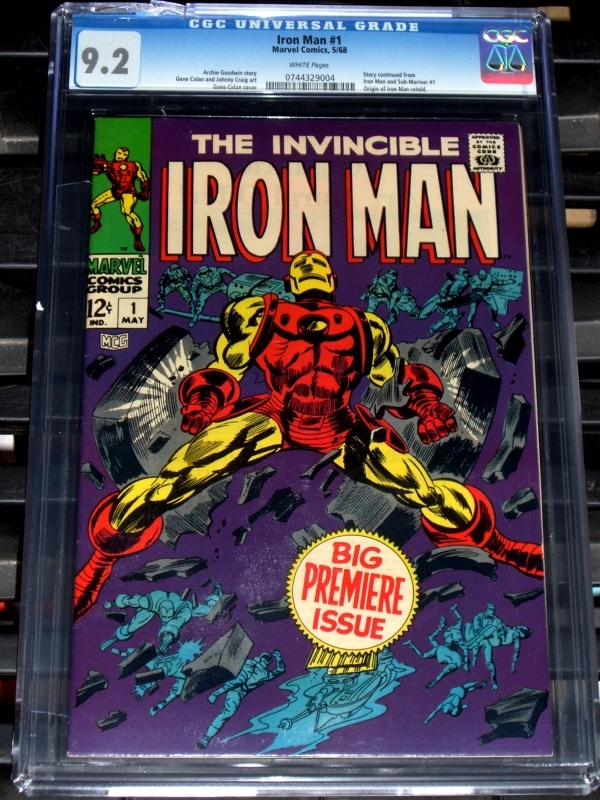 Each issue had several pages including all the box scores for the previous week, well, I guess our original collector liked to clip the good ones! There’s more detail on this in each of the listings. The issues I wanted to look at here are the June 23 and August 25, 1948 issues of The Sporting News. The Babe Ruth issues. 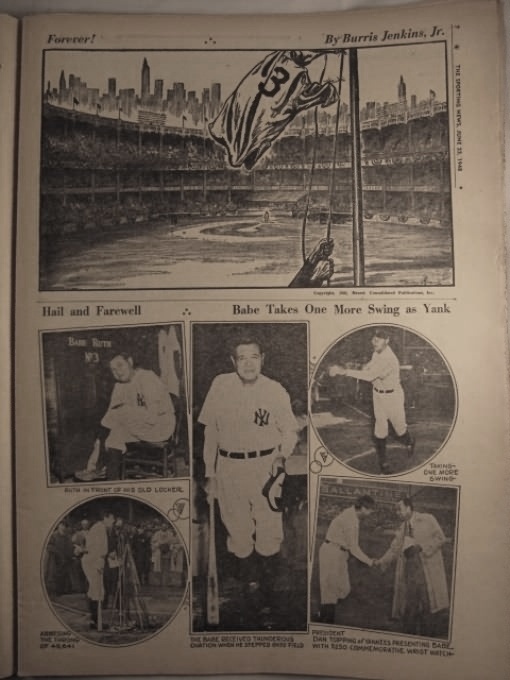 June 23 features a legendary photograph of the Bambino on the cover, unusual because most covers featured a cartoon by this time, at the 25th Anniversary of Yankee Stadium. While the photograph is not the Pulitzer Prize winning photo by Nat Fein, it is very similar and in fact likely the exact same shot, just taken by a different photographer (Bob Olen of the New York Daily News). The picture in question shows Ruth, at this time ravaged by the cancer which would soon kill him, standing at home plate of the Stadium leaning on a baseball bat to support himself as if it were a cane. 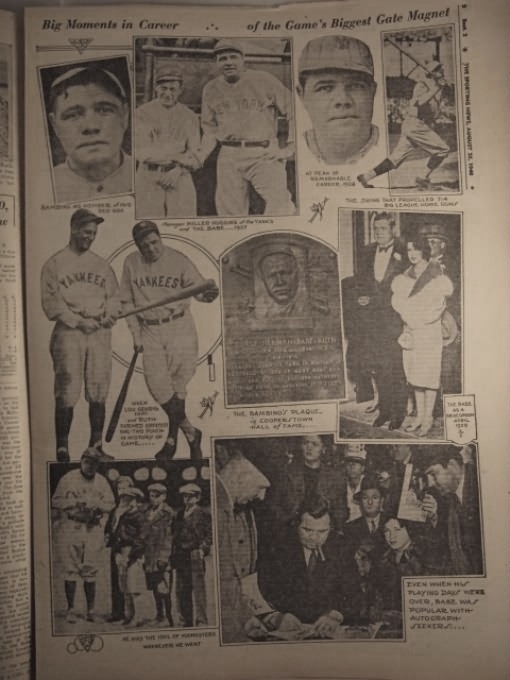 At the bottom of page various photos of Babe Ruth on June 23. At the top a cartoon shows Ruth's uniform being run up a flag pole. June 23 issue. “It was the last time the Babe ever will stand at the plate, swinging a bat, with his eyes on those right field stands. 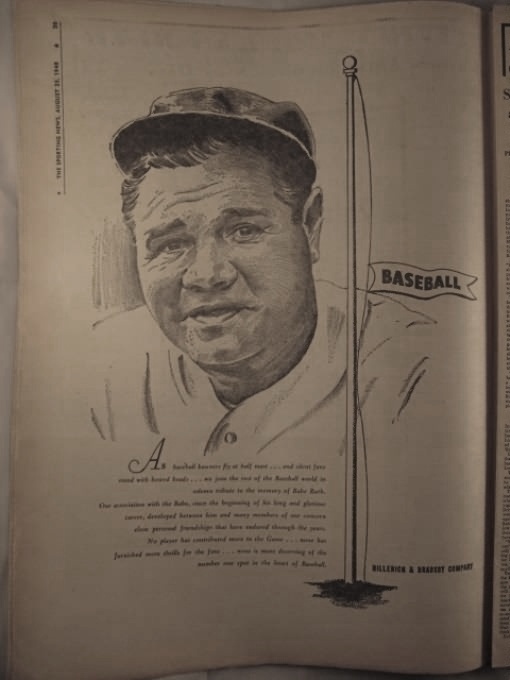 Just two months later the August 25, 1948 issue of The Sporting News would include a special Babe Ruth Section, 8 pages in length, honoring the game’s greatest hero after his death at age 53 on August 16. The coverage looked back at the Sultan of Swat’s life and times with a special concentration on his playing career. 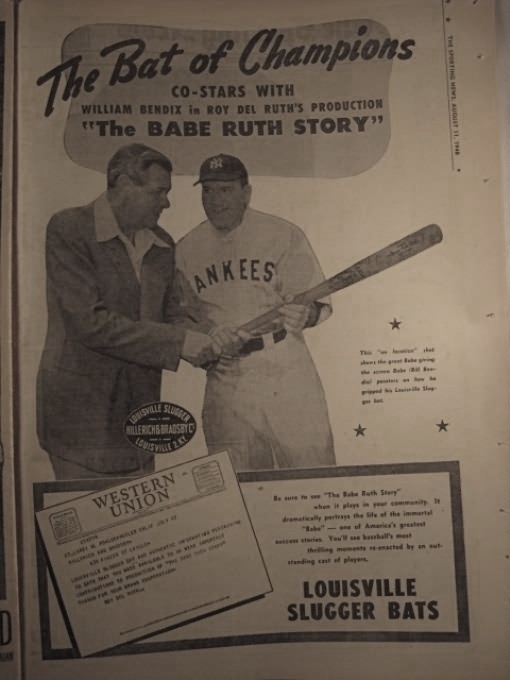 Numerous photos illustrated the article and regular Sporting News advertisers, such as Spalding and Hillerich and Bradsby, manufacturers of the famed Louisville Slugger baseball bats, created special Ruth related ad-copy in tribute to the man who changed the game. 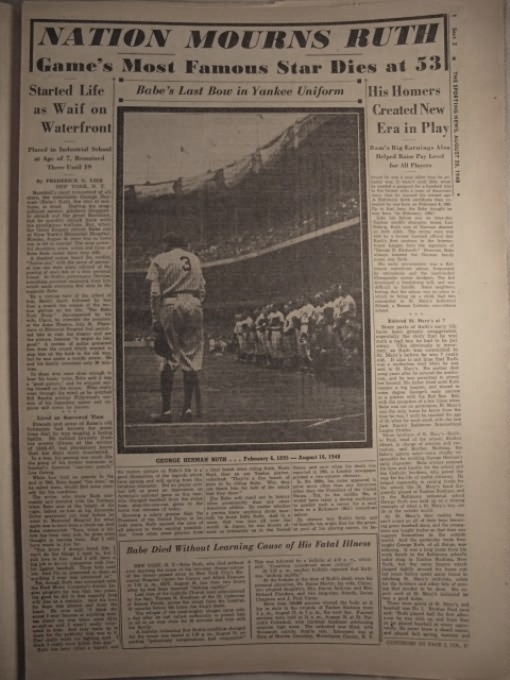 The first page of The Sporting News' special 8-page Babe Ruth section included in the August 25, 1948 issue. 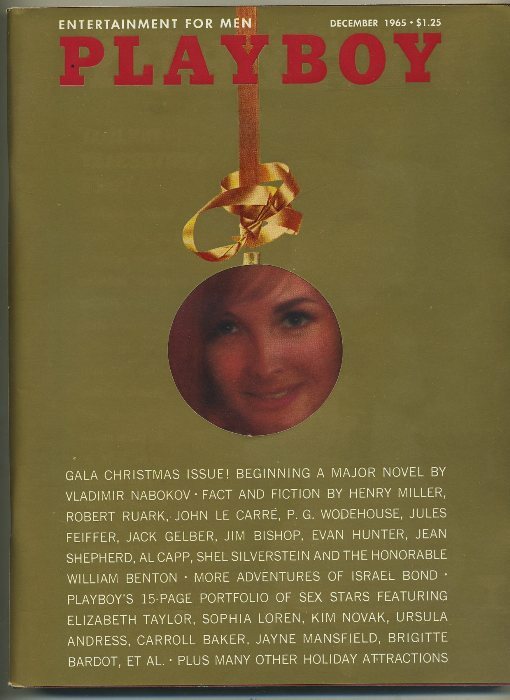 Ruth actually didn't make the cover of the main section. Advertisers pay their respects. In this case Louisville Slugger manufacturer Hillerich and Bradsby take out a full page facing the first page of the tribute section. If you stick to the book, the only Price Guide I have on these is the 3rd Edition of the Standard Catalog of Sports Memorabilia (2003), which is at least a great guide in identifying content of each issue. They quote the June 23 issue at $300 and the August 25 at $500. Since I’ve already talked about my feelings about Price Guides in this space it shouldn’t be surprising that I’ve started my auctions at $9.99 each with no reserve. Remember, mine do have half a page cut-out in each, but at the same time, let’s see how much these babies are really worth !